A snippet this week that you can use for any social media channel you use. Picture the scene, you write great content, you add it to your feed then you finish with “please share?” You know what will happen folks, you will get very few shares. The best way to encourage people to share your posts is simply by creating great content! If you have strong pieces, full of great information; the shares will happen organically – and will be worth more because they have happened spontaneously and not at your own request. This entry was posted in Tips on Tuesday and tagged Content, Facebook, Google+, Instagram, LinkedIn, Pinterest, Shares, Snapchat, social media, Social Media Marketing, Tips On Tuesday, Twitter, YouTube on November 28, 2017 by admin. A nice little Instagram tip today, which is such a small thing, but so important. 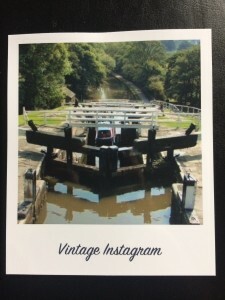 A really important thing to remember is that Instagram works on square images, just like old Polaroid pictures. Really try to make your images work in a square format, or if possible switch your camera mode to “square”. 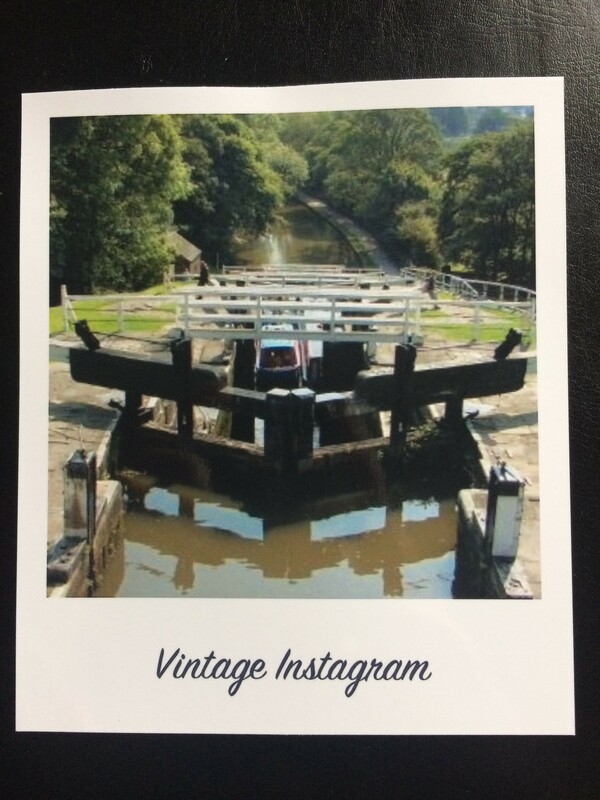 Mediocre pictures will get lost on Instagram, make your images shout for you by being the best they can possibly be! This entry was posted in Tips on Tuesday and tagged Image, Instagram, photographs, Pictures, social media, Social Media Marketing, Square, Tips On Tuesday on November 21, 2017 by admin. One of the most important things you will ever learn when you’re starting to market your business is that you can’t be seen if you can’t be found! Having that all important online presence is an absolute must. However, make sure people can find you once you’re live; make your usernames intuitive and simple and, most importantly, relating to your company name. Make the search easy – if you can’t be seen then you can’t be heard! This entry was posted in Tips on Tuesday and tagged Content, customer, Facebook, Google+, Instagram, LinkedIn, Pinterest, profiles, Snapchat, social media, Social Media Marketing, Tips On Tuesday, Twitter, Username, YouTube on November 14, 2017 by admin. We just love those tips that are simple yet essential, which is why today we’re having a look at Twitter. 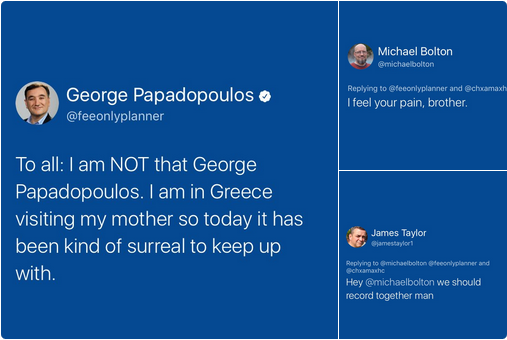 When you’re using Twitter, make sure you take care when using someone’s Twitter handle. If you want your Tweet to go directly to a particular person make sure you have spelled the username correctly and that you’re 100% sure it is the right person, otherwise you are spamming people with information who are potentially not interested whilst missing the very person you want to chat to or make a connection with. 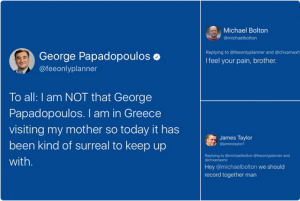 A brief proof-read would have saved poor George Papadopoulos from a case of mistaken identity and an awful lot of notifications!! This entry was posted in Tips on Tuesday and tagged Mistaken identity, social media, Social Media Marketing, Tips On Tuesday, Twitter, Username on November 7, 2017 by admin.